The last time we spoke to Drew Goddard, he had just finished writing The Martian and would go on to be nominated for an Academy Award. Now, he’s written and directed Bad Times at The El Royale starring Jon Hamm, Jeff Bridges and Dakota Johnson, a twisty hybrid heist-mystery that gives Quentin Tarantino a run for his money. In the film, seven disparate strangers meet at a rundown hotel in Lake Tahoe where half of the lodgings are in Nevada and the other half in California. This duality is symbolic of the duplicitous nature of each of the characters. Every time you think you know a character, they reveal deep, dark secrets that keep the audience guessing to the very end. We sat down with Goddard to find out what inspired him to make this film and get tips on writing a screenplay with multiple protagonists. 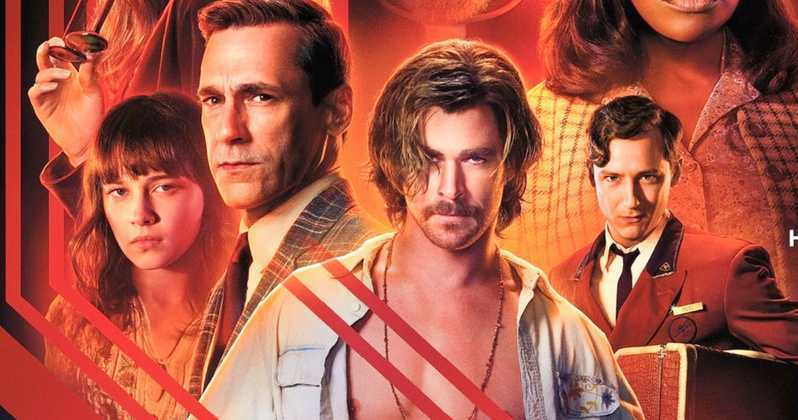 1 Reply to "Video: Bad Times at the El Royale writer shares tips for writing multiple protagonists"
BTatHR is an instant classic to be studied in the same league as the first SLEUTH filmed.